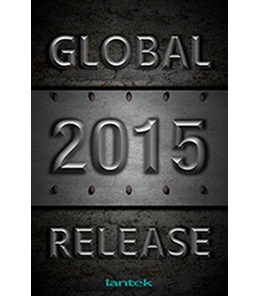 Lantek, a leading company in CAD/CAM/MES/ERP solutions, has improved its software this year. New features enable more accurate calculations of time and increased productivity for the metal industry. The multinational has perfected the CAM 2D even more to improve the preparation of work and to ensure the accuracy of time calculations for laser machines. Likewise, the software offers improved flexibility for machines that have Fly-Cut mode, allowing machining to alternate between Fly-Cut and normal modes using the offset configured in the software or machine. This new version establishes new parameters for the machine´s configuration, as well as new algorithms that enable much more accurate time calculations, taking into consideration both the acceleration of the headstock and the most advanced strategies of the most innovative machines. Lantek´s technical director, Asier Ortiz, underscored that "completely accurate calculations lead to immediate and substantial improvements in production planning and costs." Another innovation is a more flexible and automatic text marking feature. When identifying a piece, sheet, or scrap is key, the text that should be included on the piece, its position or the font characteristics will no longer be an issue. Also, improvements were made to the ability to edit text for marking: definitions based on dynamic information, rotation, modification, or elimination. Also included are improvements to usability geared toward productivity and a shorter learning curve. This includes enhancements in how work is prepared, which, according to Ortiz, "now make it possible to import pieces even from drawings in PDF format, find a geometry that can be worked with, clear away unwanted elements, and create an accurate quote very quickly." Lantek has also introduced improvements to CAM 3D, such as the incorporation of a complete design environment for processing work with pipes with all the functionality the company offers in its CAD/CAM systems. Other improvements implemented are very accurate time calculations for operations with pipes and profiles with five axes and the fact that any type of support/tool can be defined or modified in order to optimize Collision Prevention. CAM 3D also enables improved management of geometries, vectors, contours, heights, and entry and exit attacks. It also includes more resources for traceability. Thanks to the TrueType fonts for text marking, any language can be used and the tracking codes can be included as desired. The company´s innovation this year also affects its Management suite (Lantek Manager, Lantek Wos, Lantek Workshop Capture and Lantek Integra). Workload monitoring establishes a new way of estimating production times. This feature calculates an estimated completion date based on the current load at the facilities, as well as a deadline based on the route and capacity of the facilities. 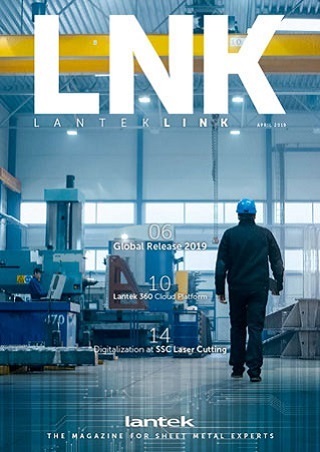 Another innovation consists of using a new category of prices and an improved calculation of gross and net margins, with the purpose, according to Lantek technical director Asier Ortiz, "of achieving a greater ability to increase your productivity. Different discounts, prices and margins can be used for each of the costs imputed by customer, based on market conditions, or based on the conditions of your business," he explains. It also establishes a flexible billing system for manufacturing under general agreements using new features that cover business´ needs, such as cash discounts, orders ready to be invoiced, and the partial release of sales orders. The improvements also affect the specialized software for integration with other systems. For example, StruMIS Connector allows its users to calculate production needs without the need for a CNC programmer, which saves time and improves the accuracy of the calculation. Meanwhile, Tekla Structures Connector includes new formats used for metal structure scenarios that ensure they are manufactured correctly. Another new feature has to do with the new integration variables in the ERP Integrator, such as ordering operations, parameters for calculating the cost of sheet metal, the scrap geometry, and exploded views of groups of elements. Lastly, Masterlink, which is the mechanism connecting the CAD/CAM with the company´s existing management systems, includes improved integration capacities for managing sheet metal and scrap geometry.